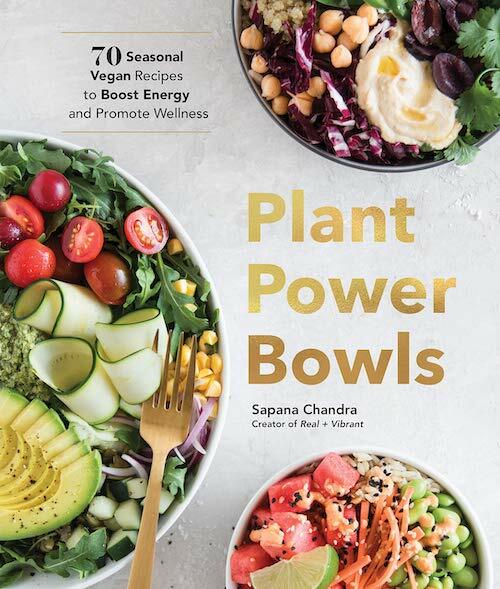 Plant Power Bowls is the debut cookbook of Real + Vibrant founder Sapana Chandra. After healing herself from chronic illness, Sapana launched Real + Vibrant in 2016, a growing food blog where she teaches her audience how to cook simple, delicious, mostly plant-based meals. Recipes in Plant Power Bowls are arranged seasonally so you can make the most of your area’s local bounty and eat fresh throughout the year. There’s an entire chapter dedicated to sweet treats, including several coconut-milk-based ice creams. The cookbook contains nutritionally sound and simple plant-based power bowls to boost your energy and fuel your body. A photograph is featured for each one of the 70 vegan recipes. It’s perfect for both beginners starting from the ground up and experienced cooks looking for new ideas. There’s something for everyone! 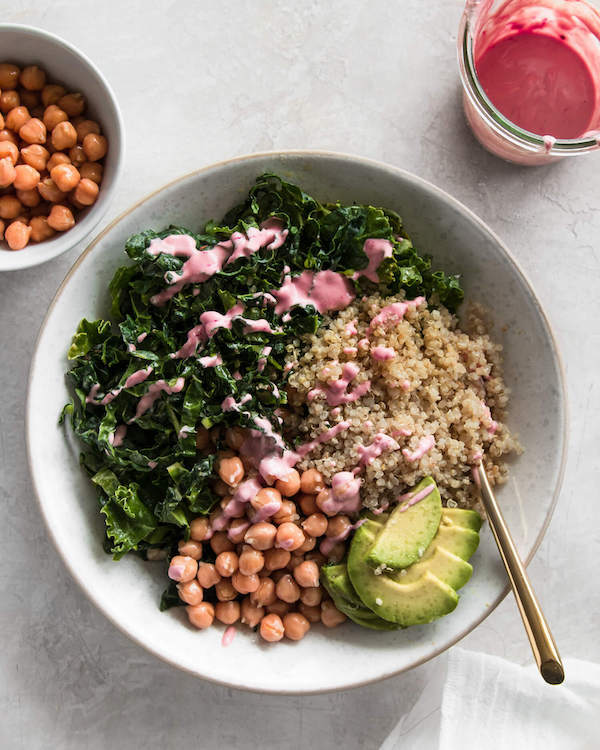 Spring Bowls - including Roasted Turmeric Cauliflower & Garlicky Chickpea Bowl, Masala Chickpea Buddha Bowl, and more! 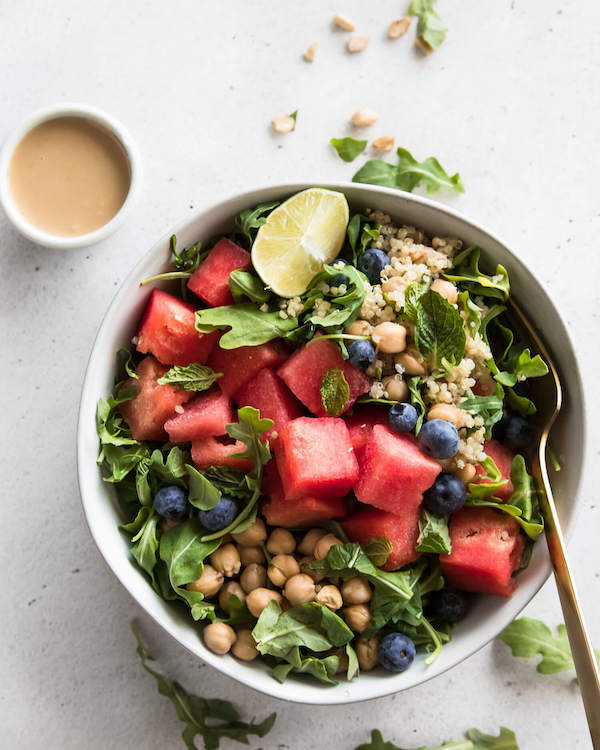 Summer Bowls - including Watermelon & Arugula Bowl, Summer Garden Patch Bowl, and more! Fall Bowls - including Fall Harvest Squash Bowl, Autumn Chopped Salad Bowl, and more! Winter Bowls - including Coconut-Chickpea Curry & Broccoli Bowl, Roasted Beet & Spicy Lentil Bowl, and more! Treat Bowls - including Chocolate-Tahini Fudge Ice Cream, Berry Banana Split Bowl, and more! 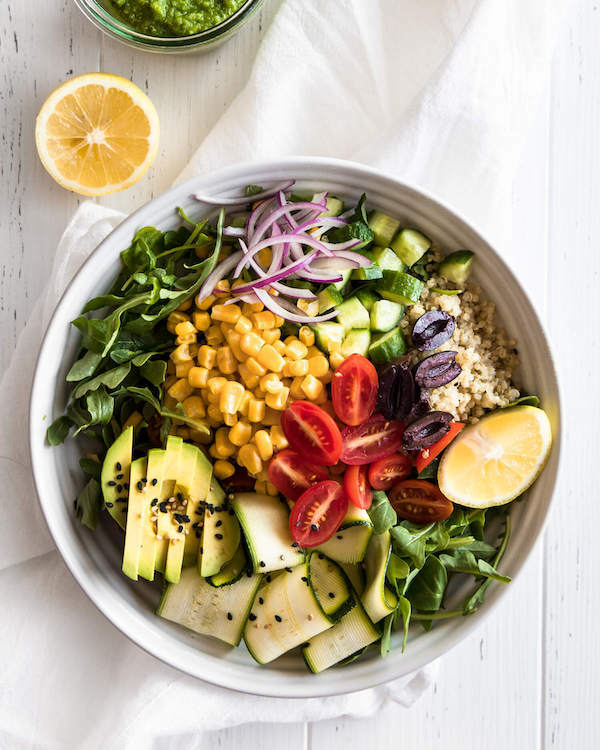 These Buddha bowls will blow you away with their fresh flavors (and how great they make you feel!). Sapana Chandra is a plant-based, professional cook, social media influencer, and holistic health coach. She launched Real + Vibrant in 2016 after healing herself from chronic illness. Real + Vibrant is a growing healthy-lifestyle business where Sapana teaches how to cook simple, delicious, mostly plant-based meals. She has been featured in Elephant Journal, Clean Eating, Thrive, and Mantra Yoga + Health and her photos have been featured by PureWow, Brides, Whole Foods, Food52, Cooking Light, SELF, and Mindbodygreen, among others. She lives in Seattle, WA. Read her story here.